What's this? 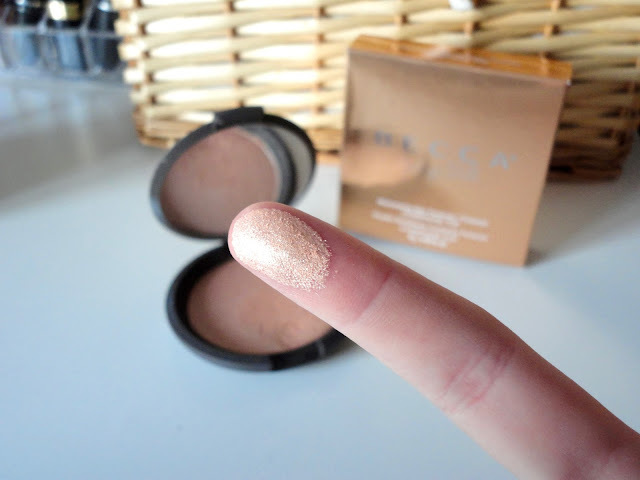 Last year, YouTube makeup artist Jaclyn Hill announced her collaboration with Becca Cosmetics to create a highlight powder named 'Champagne Pop'. It was the biggest single-day seller on sephora.com when it was launched and I was desperate to get my hands on it! Finally, just before Christmas it was launched on both Space NK and Cult Beauty in the UK. Where do I get it? As I mentioned above, if you're in the UK, you can get it on Space NK here for £32 and Cult Beauty here for £30. Otherwise, it is available on Sephora. The Pros... It is simply a beautiful highlight shade. 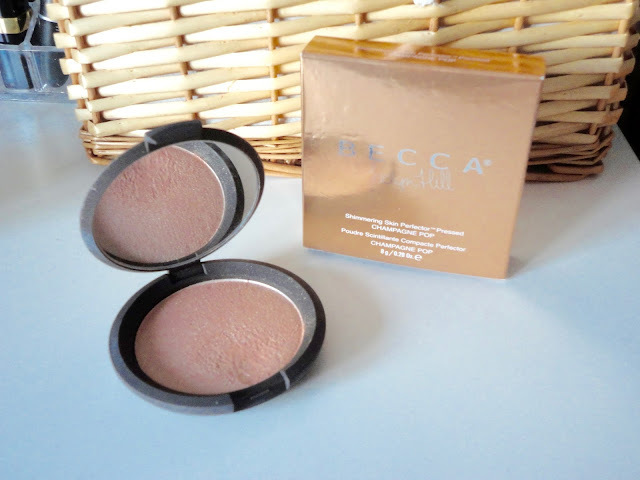 If you love a strong highlight, this will be perfect for you. I really have never used anything quite like it in terms of pigmentation, longevity and shade. As you can see from the swatch above, it is so so pigmented and transfers beautifully onto the skin. I use a brush like the Charlotte Tilbury Powder & Sculpt brush or Real Techniques Contour Brush to apply it to my cheekbones and it blends out really nicely to give a strong highlight that doesn't look too fake. It's so finely milled and soft so you only need the tiniest bit on your brush to get the right amount of glow. The Cons... I really don't have that many cons for this product as it has been my go-to highlight, but all I would say is that if you don't like a strong highlight, this probably isn't the product for you. It is a very intense colour and it's easy to go too strong with it, so definitely be careful when you're first applying it! Also, I have heard of other people's Champagne Pop's breaking because the powder is so fine, so be careful if you're travelling with it!